Craft beers and local wines get all the hype. But sometimes, you just want to be on the other side of a bar from a mixologist who knows what their doing. Whether it’s measuring the right pour of bourbon or dripping the precise proportion of bitters into the shaker, when it comes to cocktails, a great bartender makes all the difference. We, therefore, offer for your consideration the best cocktail bars in Minnesota. This speakeasy-style bar provides the perfect ambience for a expertly-crafted cocktail. If you’re thirsty for a Jackalope or a Northern Aggression, this bar will prepare it just right. Marvel Bar has emerged as a champion of the craft cocktail movement. The creative concotions at Marvel range from the Ebenezer, made with absinthe, Muglio, Lazzaroni Fernet, and Beefeater, and the Southern Hemisphere made with rice vinegar, lime, strawberry, and Rujero. The Alchemist is an endeavor undertaken by renowned mixologist Johnny Michaels, who has designed cocktail menus for many well-known restaurants and even penned a book on the subject. This steampunk-lounge will not disappoint lovers of detailed, refined drinks or fans of Mr. Michaels. A speakeasy-style drinkery located below the Blind Pig, the Rathskeller is carved out of Duluth’s old jail. 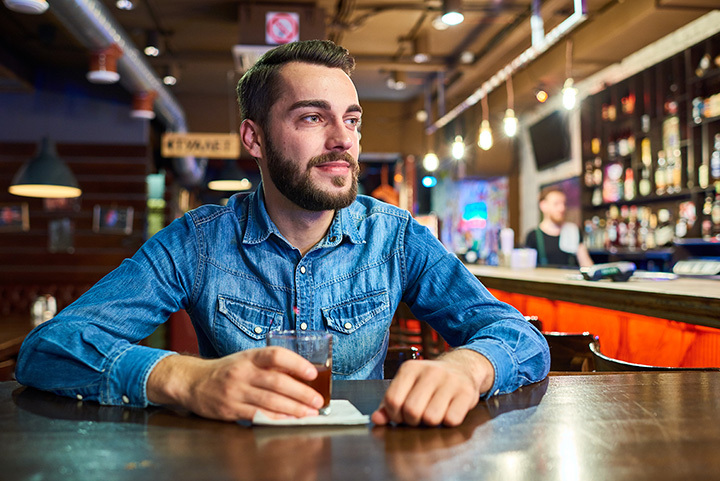 Although the bar is reportedly haunted, folks don’t seem to mind rubbing elbows with ghosts to get their hands on one of the gin joints tasty beverages. The alleged former stomping grounds of everyone from F. Scott Fitzgerald to infamous gangsters of the 1920s and 1930s, the Commodore is a recently-refurbished private club that now specializes in carefully crafted libations, elevated dining, and Jazz Age-themed entertainment in a gorgeous Art Deco space. Eat Street Social takes cocktailing seriously but not so seriously that they don’t have fun while doing it. They have occasionally turned an adjacent room into a tiki lounge and always throw a heck of a New Years Eve party—yet, through all such shenanigans, the Social maintains its dedication to precision-crafted, delicious cocktails. If you’re looking for a carefully-concocted cocktail in Southeast Minnesota, saunter into the Doggery. From classic tiki drinks to refined cocktails from the depths of their mixologists’ own imaginations, you’re certain to find a drink to warm your soul at the Doggery. A classy restaurant with delicious food, a deep cocktail list, and one of the most gorgeous patios in the Twin Cities—what more could you want? Right, an amazing bar in a historic building. Well, W.A. Frost and Company can claim all of these things. The problem with Frost’s is that once you’re in, you usually don’t want to leave. Whether you need a classic Manhattan, a perfect martini, or a cocktail crafted on the fly by one of their top notch bartenders, BLVD Kitchen & Bar is certain to satisfy the most discriminating of drinkers. Classy takes on bar fare make for one of the town’s tastiest happy hours—and the regular menu is no slouch, either. As fun as fancy cocktails and mixology can be, sometimes you just want a glass of liquor, sometimes with ice and maybe with a mix and garnish. If you’re looking for a good-ol’ drinking bar, you’ll do no better than Liquor Lyles. Big, strong drinks, two-for-ones, awesome happy hours, and good food all enhance the experience. View more Minnesota Bars and Saloons.